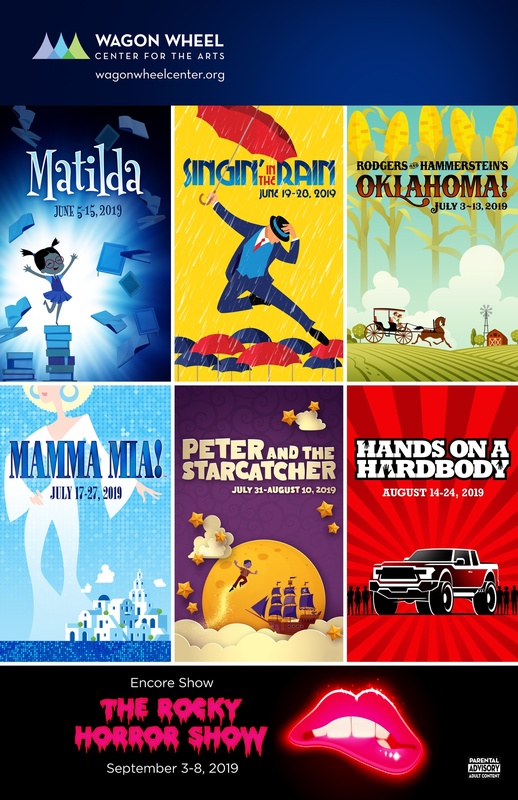 We are excited to announce the 64th Summer Season coming in June 2019! Inspired by the twisted genius of Roald Dahl, Matilda is a little girl with astonishing wit, intelligence and psychokinetic powers. She overcomes the obstacles of unloving parents, a cruel headmistress and helps her teacher to reclaim her life. Children and adults alike will be thrilled and delighted by the story of the special little girl with an extraordinary imagination. Based on the play, Green Grow the Lilacs, Oklahoma tells you the story of a farm girl and her courtship with two rival suitors. Set in the Oklahoma Territory, at the turn of the century, this musical is filled with all the characters of the time including a Persian Peddler. The memorable music will have you dancing and singing O-K-L-A-H-O-M-A all the way home. The story-telling magic of ABBA’s timeless songs propels this enchanting tale of love, laughter and friendship, creating an unforgettable show. A young woman deals with her mother’s past, three possible fathers and a trip down the aisle you’ll never forget! This hilarious story will have you wanting to dance in the aisle and be part of the show. Peter and the Starcatcher is the prequel to Peter Pan. This delightful play tells the story of how a young orphan and the people around him became the beloved characters of Peter Pan. This story playfully invites the audience to explore the depths of greed, despair along with the bonds of friendship, duty and love. Join us on a wonderful adventure for the whole family! Everyone at some point wants a chance at a new life. Hands on a Hardbody explores a diverse cross-section of a small-town Texas community where contestants in a radio contest tell their story of their American Dream while standing with their hands on a hardbody truck. The last person with their hand on the truck will win it and a chance to change their lives. This cult favorite is a hilarious, wild ride that no audience will soon forget! When a wholesome young couple are forced to seek help and shelter after they get a flat-tire, they meet the most unlikely character. Enter a transvestite scientist with a manic genius and insatiable libido working on his latest experiment. For years this movie has been making people laugh and the stage version is no different. Season Subscriptions are on sale now for just $185 for the first 6 shows! You can also purchase tickets to this year’s Christmas Show: Elf, The Musical and next year’s Encore Show: The Rocky Horror Show at a discounted rate of $25 each when you sign up for a subscription! Make sure you stop by the box office or call 574-267-8041 to order them today. Season Subscriptions cannot be purchased online at this time.